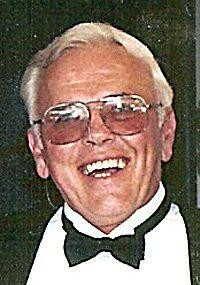 Mr. Gilbert Asa Lassen Sr., 76, of Boulder Road, died Sunday, Feb. 24, 2008, at the Masonic Healthcare Center in Wallingford. He was the husband of Lorraine (Piekarski) Lassen. Mr. Lassen was born Jan. 31, 1932, in Cheshire, a son of the late John Dewitt and Dorothy (Palen) Lassen, and was a lifelong Cheshire resident. He was a graduate of Southington High School and had attended Cheshire Academy. He was the owner of Boulder Knoll Farm in Cheshire, which had been in his family for close to 100 years. He was past president of the Cheshire Grange and had also served on the executive committee. He drove his farm tractor in the Cheshire Memorial Day parades representing the Grange, was a leader of the 4-H Livestock Club of Cheshire, served as chairman of the Connecticut State Grange and Agriculture Committee, and was a member of the board of directors of the Middlefield-North Haven Agway Committee. He was a member of Agrimark, the National FFA Organization, the New Haven County ASCS Committee, and the New Haven County DHIA Board. Mr. Lassen was an Easter AI delegate, and was the last dairy farmer in Cheshire. 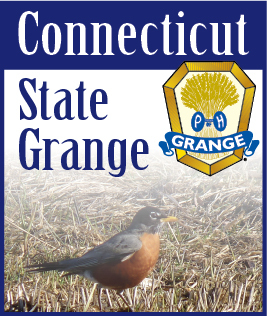 In 2000 the Town of Cheshire purchased the farm land for open space. Mr. Lassen was also a longtime member of the Cheshire Planning and Zoning Commission and president of the Doolittle School PTA. After his retirement from farming, he drove school buses for the Dattco Co. in Cheshire. He was an Army veteran, serving during the Korean War as a master sergeant of the Tank Division. Besides his wife, he leaves his sons, John (Jack) Dewitt Lassen of Belleville, N.Y., Gilbert (Gib) Asa Lassen Jr. of Cheshire, Thomas J. Lacey Jr. and John W. Lacey, both of Wallingford; his daughters, Beth (Lassen) Castaldi of Sherman, Vicki Lassen of Cheshire, Kim (Lassen) Lapman of Waterbury, and Eileen (Lacey) Chernasky of Westerly, R.I.; his sisters, Mikelle (Lassen) Upson of Waterbury and Patricia (Lassen) Smetanka of Park Rapids, Minn.; his mother-in-law, Veronica (Francis) Piekarski of Cheshire; and his brother-in-law, Ted Piekarski of Rosedale, Ind. He also leaves 16 grandchildren, two great-grandsons and many nieces and nephews. Funeral services with military honors for Mr. Lassen will be held 11 a.m. Wednesday at First Congregational Church of Cheshire. Friends are asked to meet directly at the church. Burial will be held at the convenience of his family. Calling hours will be held 4 to 8 p.m. today at the Slater Funeral Home, 242 South Main St. If desired, memorial contributions may be made to the Masonic Healthcare Center, 22 Masonic Ave., Wallingford 06492; or First Congregational Church of Cheshire, 111 Church Drive, Cheshire 06410.